During the week I try to cook things that can be made in 30 minutes or less. Because after spending 9 hours in a job I don’t like, and getting my workout in, I don’t want to spend all night making dinner. If I don’t have quick go-to meals, I will eat out & then all my hard work will go to waste….so I learned how to make quick easy things that are yummy, filling & healthy. 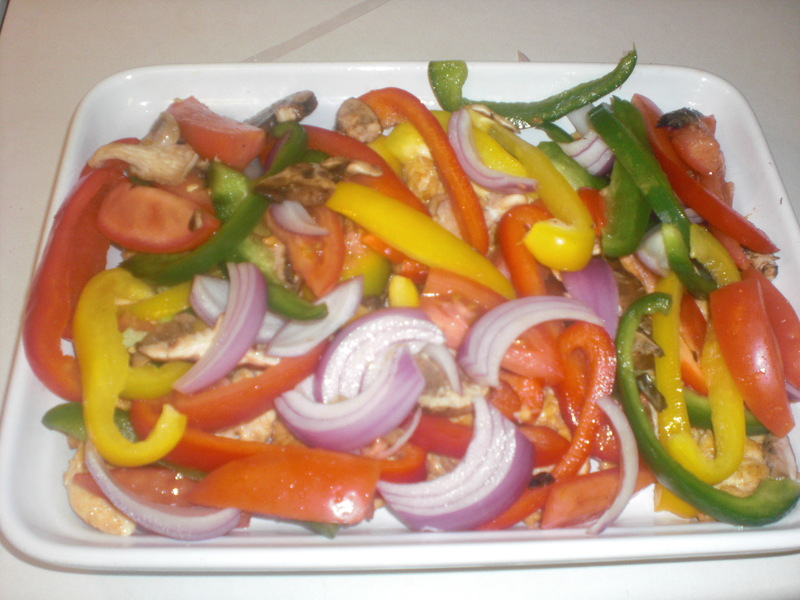 This is one of my easy go-to meals – salmon & a veggie or two. 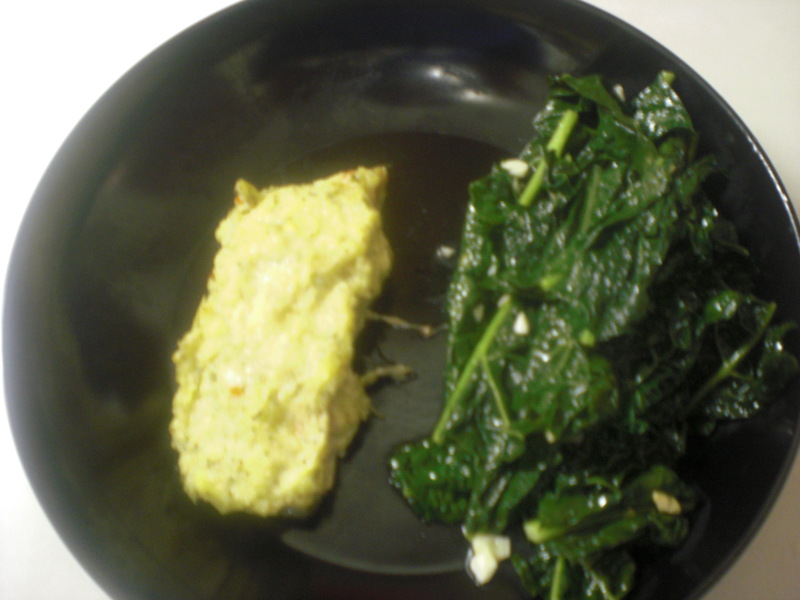 In this case, I’ve topped my salmon with some pesto to give some extra flavor & I’m doing a sauteed kale, which is my favorite way to eat kale. pesto – you can make your own, or I recommend the Trader Joe brand if you like store-bought. Experiment. First, preheat your oven. It should be set on the broil setting. Grab a baking sheet to cook your salmon on. As I mentioned, you can use any variety of kale that you like. This week I decided to use dinosaur kale. 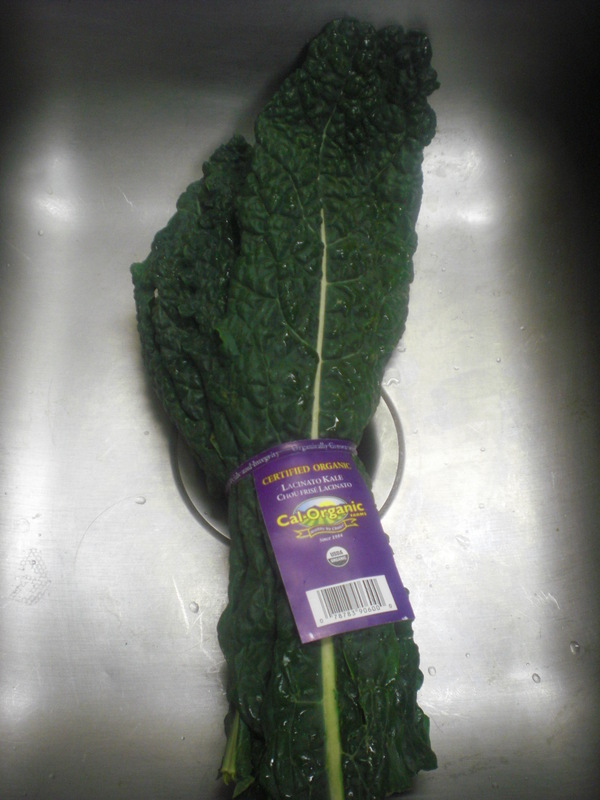 If you’ve never cooked kale, its super easy to prep – just wash & cut off the stems. 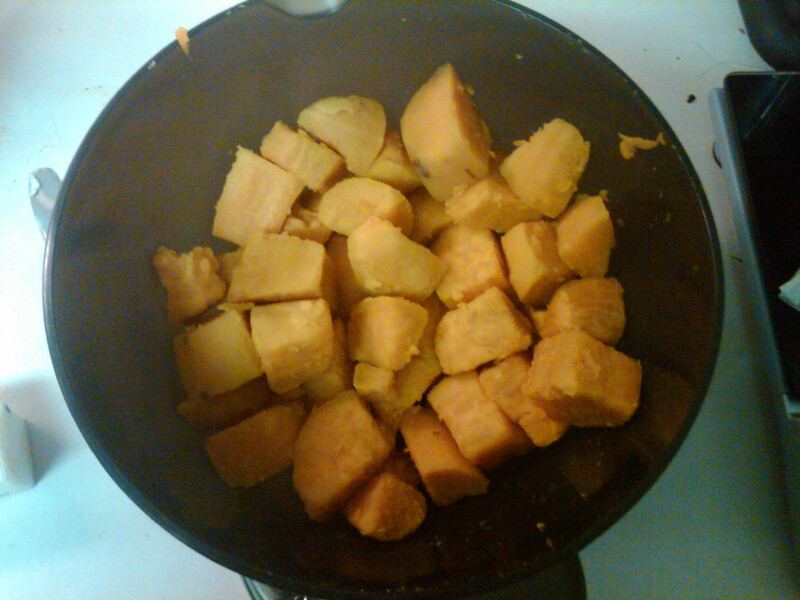 I then chop it into smaller pieces for easier cooking. Next you want to chop your garlic. Or you could use pre-chopped garlic if you have some of that handy. 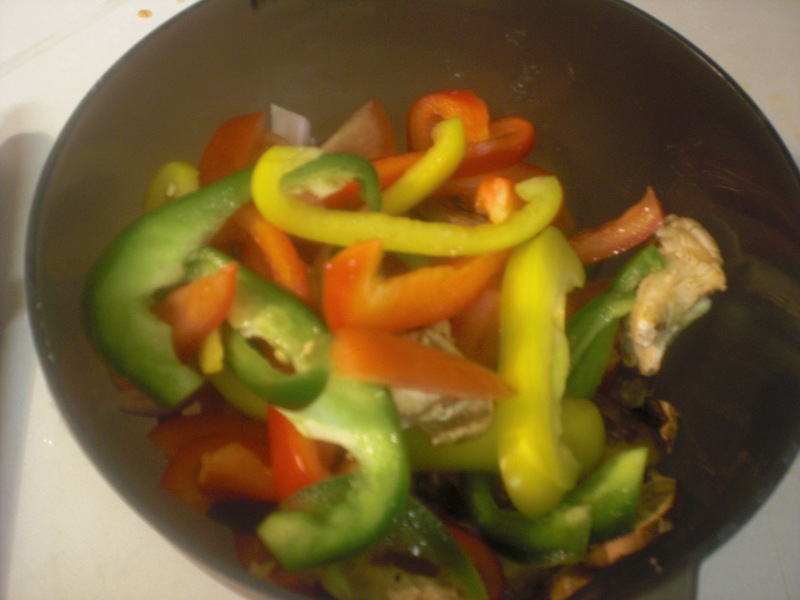 After chopping, grab a sautee pan & heat your oil in it. When its nice & hot, throw in your garlic & allow it cook but not brown, so you shouldn’t need to cook it that long. 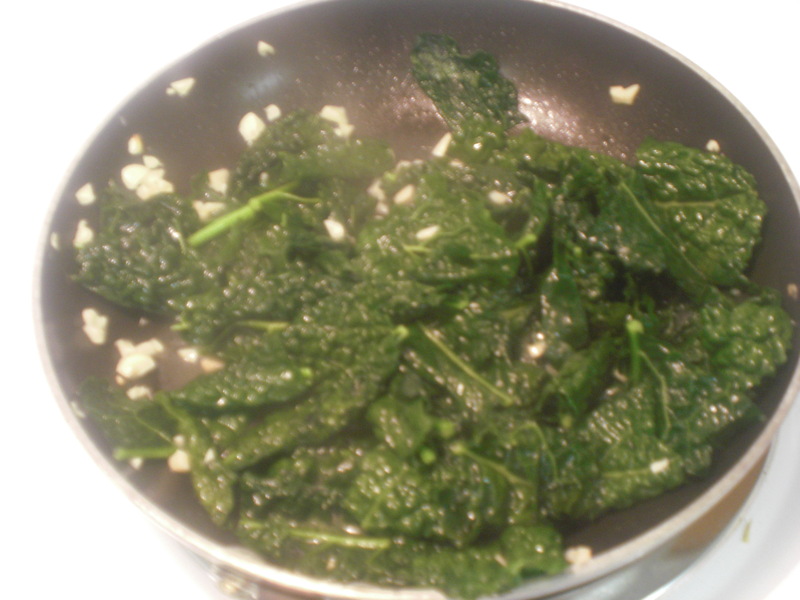 Once the garlic is done, add your chopped kale & the veggie stock. If you don’t have any stock handy, you can just use plain water. I prefer to use stock though for added flavor. Once you’ve added the kale & the stock, cover the pan & let cook for 5 minutes. While the kale is cooking, grab your salmon & put it on your baking sheet. BTW, I like to line my sheet with aluminum foil for easier cleanup #tip. Now take your pesto & add some to the top of my salmon. Be as generous or stingy as you like. 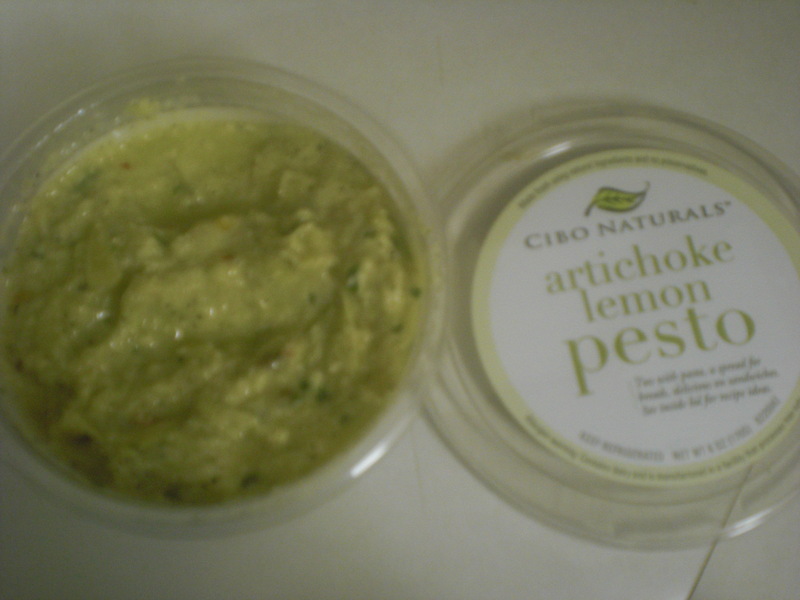 I tried out this new artichoke & lemon pesto this week, and it was yummy. Once you’ve added the pesto, you can pop your baking sheet into the oven. Cook the salmon to your preferred level of doneness, but it shouldn’t take long at all. Allow it cook a couple minutes more with the lid off, but essentially its done! You want the leaves to be wilted & softened but not like mush either. Transfer to a bowl & toss with the red wine vinegar. Once your salmon is done to your liking, you can remove it from the oven. All done! Here’s my finished plate. 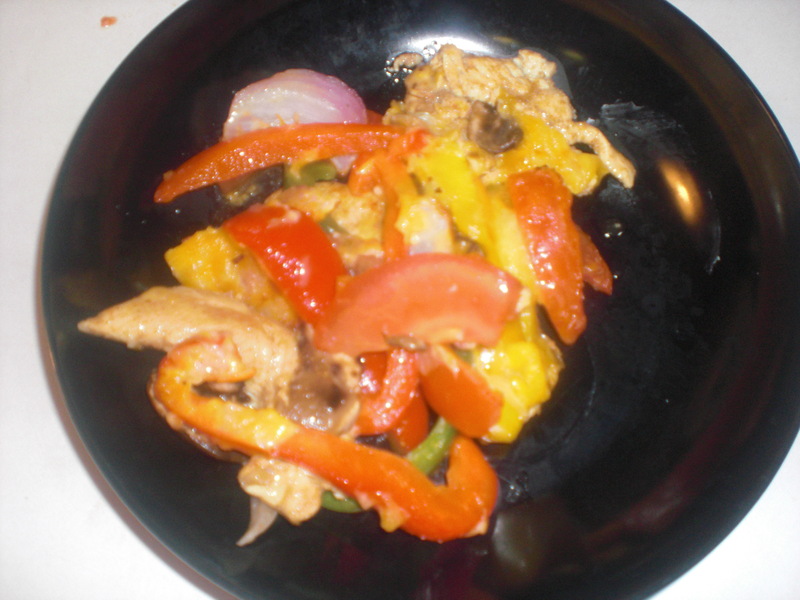 A quick delicious & healthy meal on a weekday night. 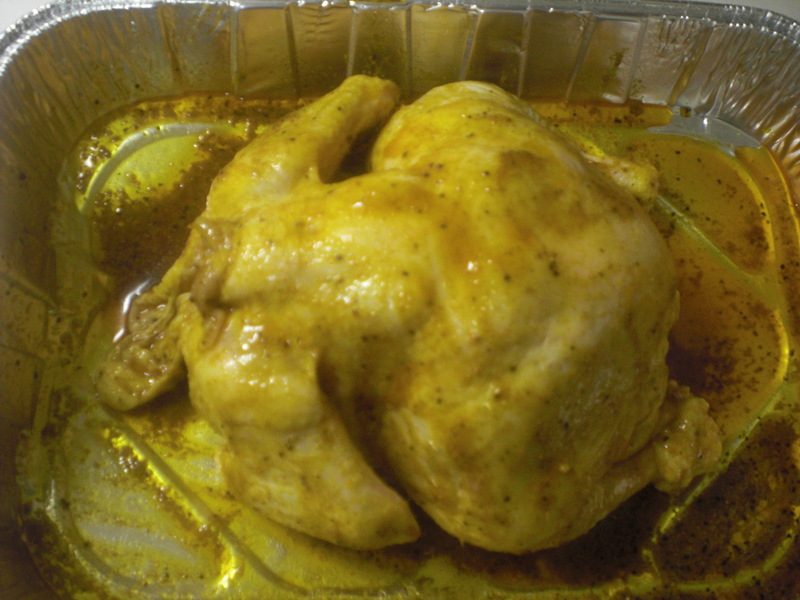 A few months ago Rosetta from Happy Black Woman posted a super easy roast chicken recipe, and I tried it & loved it. 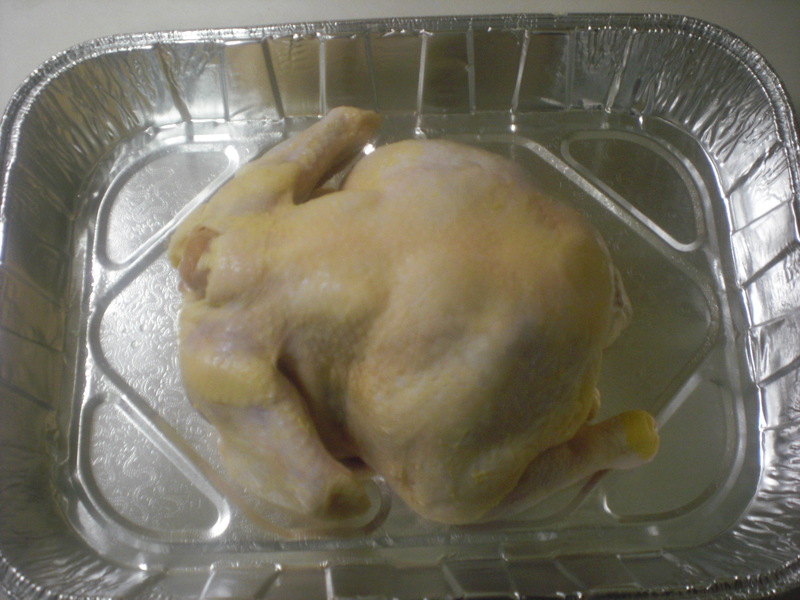 Next you want to wash & dry your chicken, and allow it come to room temperature. I got the smallest chicken I could find from my neighborhood Trader Joe’s, which cost me all of $4. 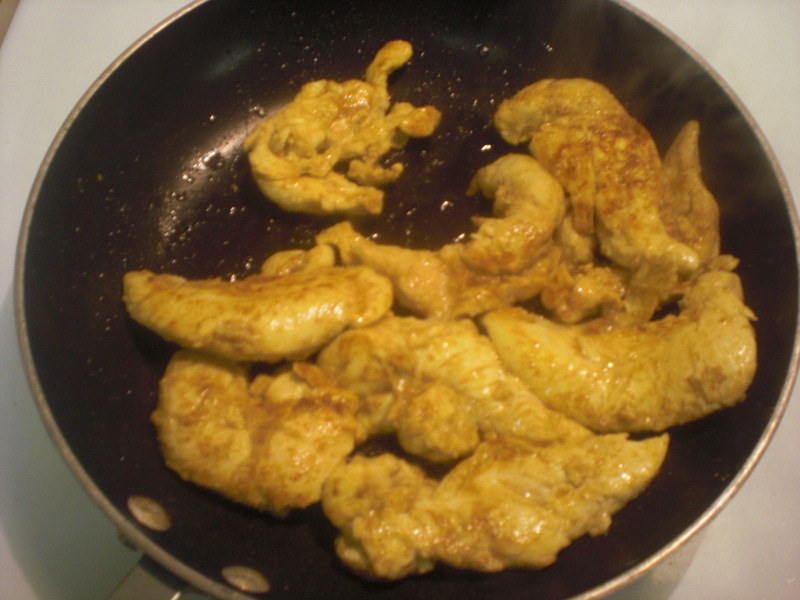 (BTW, $4 for a chicken that will last for at least 4 meals? #istaywinning). 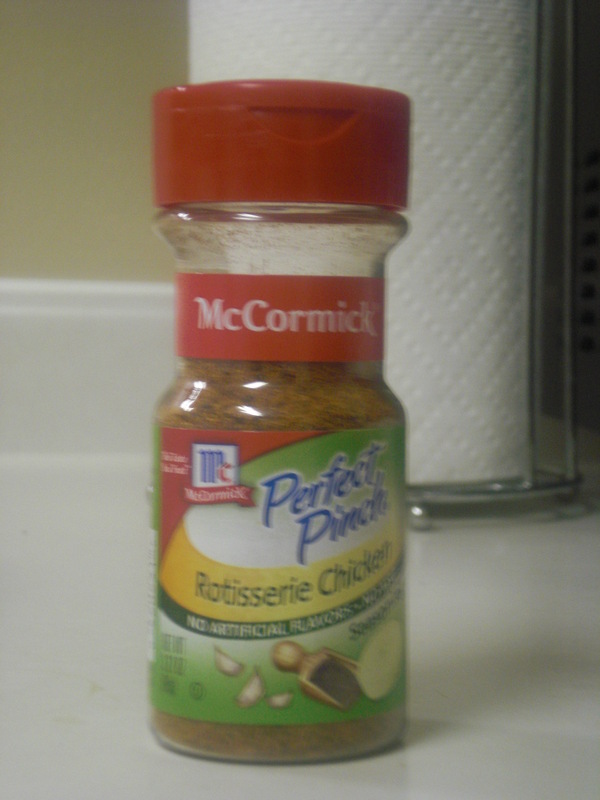 I found this awesome seasoning mix that gives your chicken that fresh off the rotisserie flavor #yum so this is what I’ll be using. 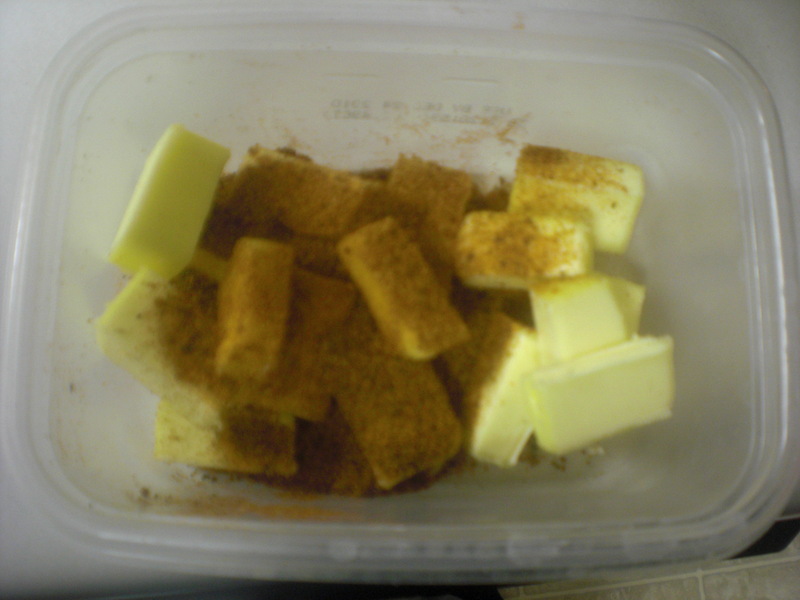 Melt your butter & seasonings together. Next add the lemon juice to the mix, and any salt if you want (I didn’t add any salt btw, too much salt is a bad idea folks!). 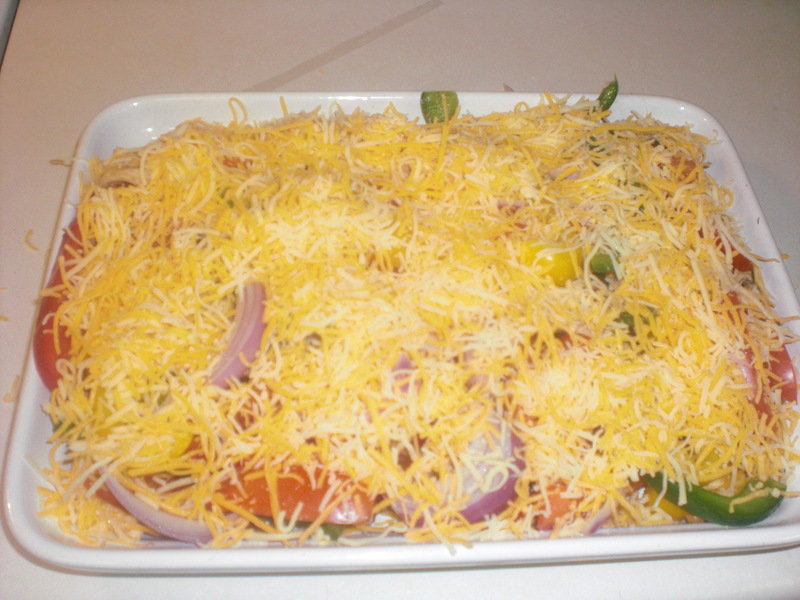 Now its time to pop it in the oven! I like to use this Reynold’s disposable roasting pans because they make cleanup super easy. I just put a cookie sheet underneath it for a bit more support. 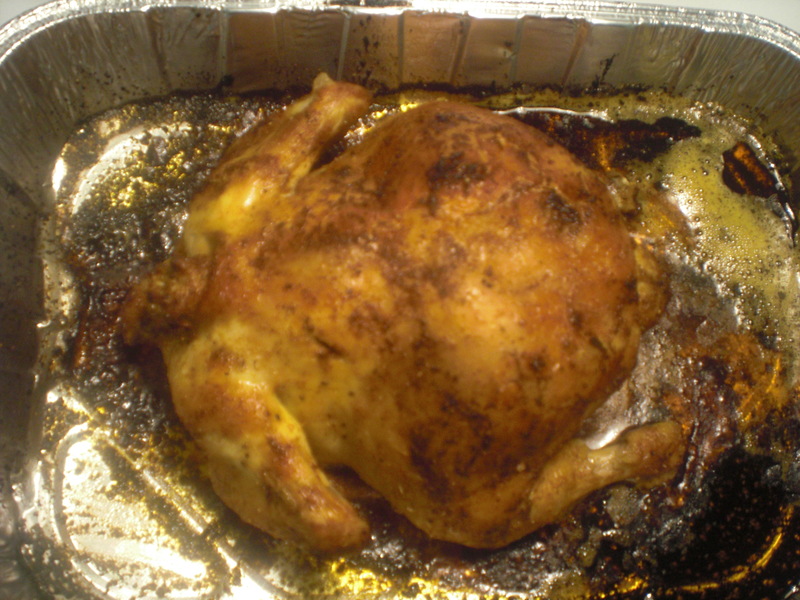 Cook for about an hour – this will vary depending on how big your bird is. For a bigger chicken, of course you need more time. If you have a meat thermometer, the chicken is done when it reads 165 degrees in the thickest part of the chicken. 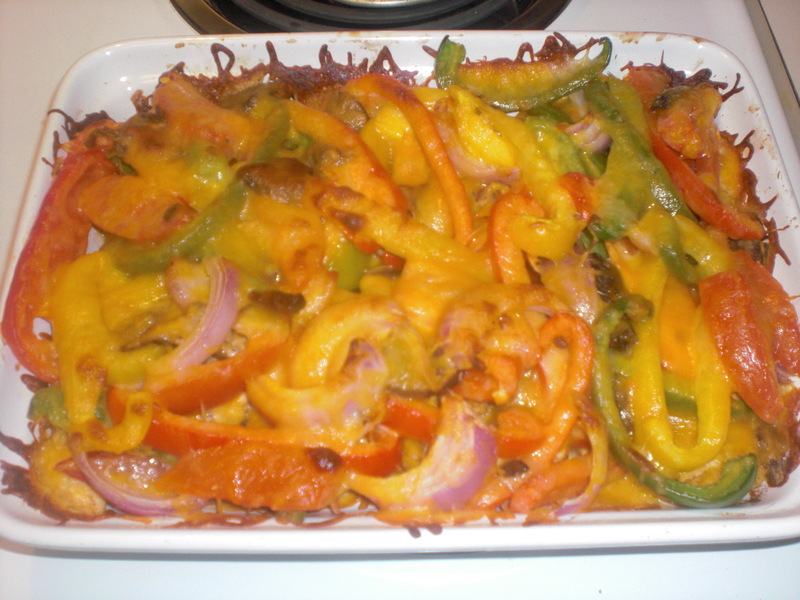 Yummy delicious & easy peasy…happy cooking! A few weeks ago, my department at work had a pie sale to benefit our Adopt-A-Family community service project. My boss asked me to bake some pies, and I agreed, with the caveat that I could bake the only pies I know how to make – sweet potato pies. 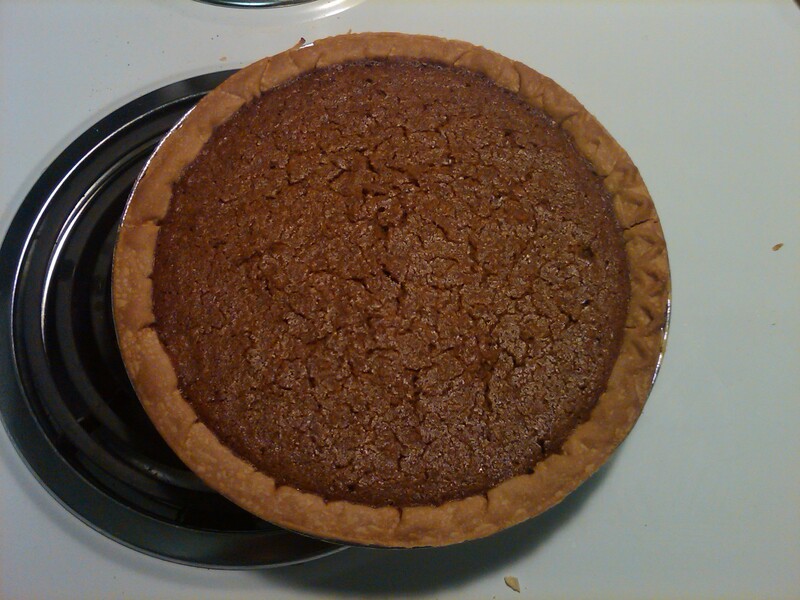 I wound up making seven sweet potato pies over the course of a week, which was the most I’d ever made. My auntie L makes the absolutely best sweet potato pies ever made on Earth & she finally blessed me with her recipe last year #yay! Because I know she’d kill me if I gave out the family recipe on the blog, I won’t give out the details…but in general, sweet potato pies are all the same. For these pies I made for work, I used frozen crusts, cause these folks weren’t gonna get me to make crust on a worknight #noway. 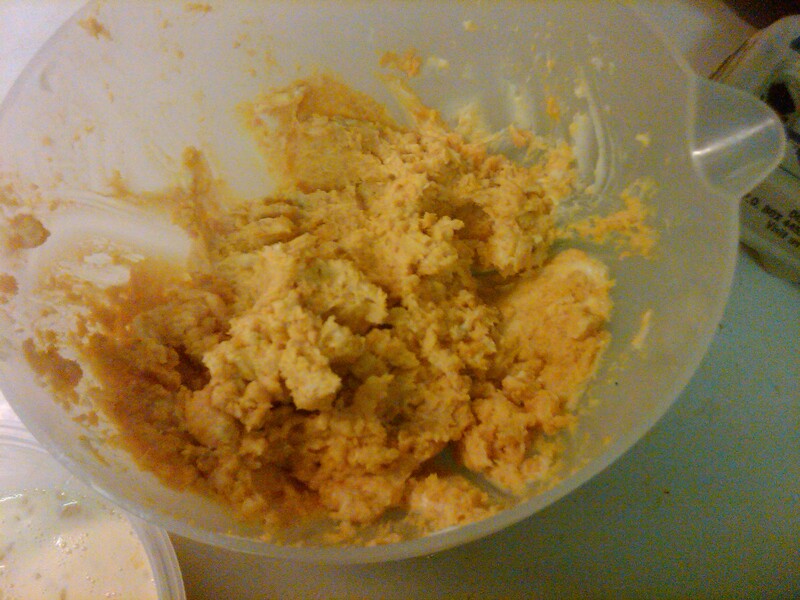 So all I had to do was make the filling & then bake…sounds easy, but still time-consuming. 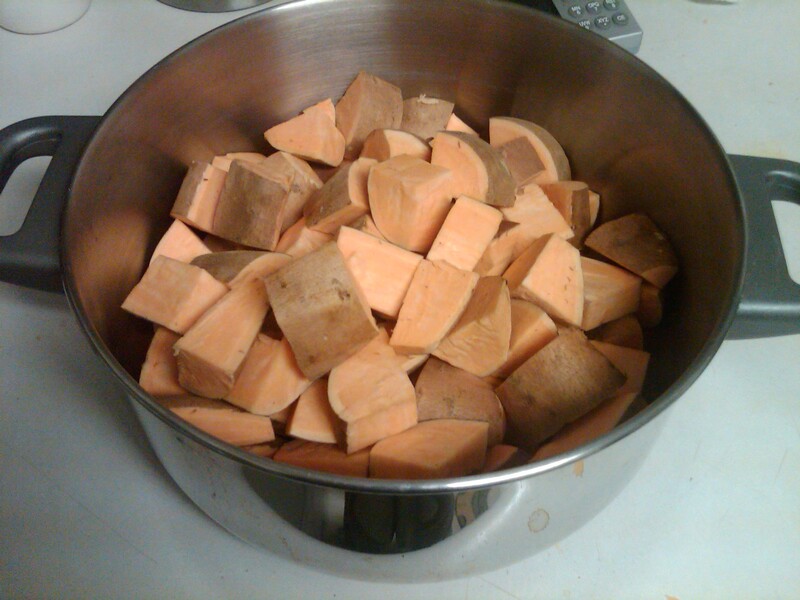 I started by cutting my sweet potatoes into cubes & boiling them until soft. I left the skin on cause they are easier to peel when the potatoes have been boiled. 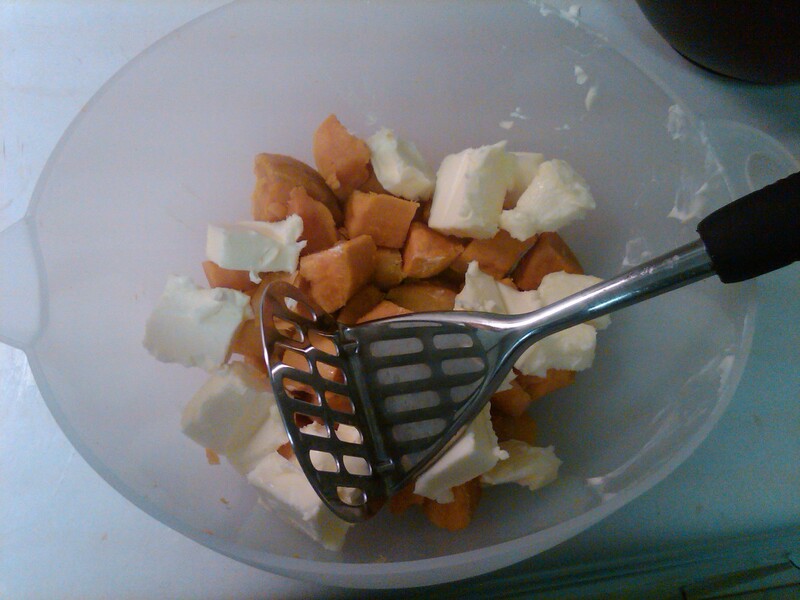 Alright so now you take your butter, and cut it into small cubes & add them to the potatoes. 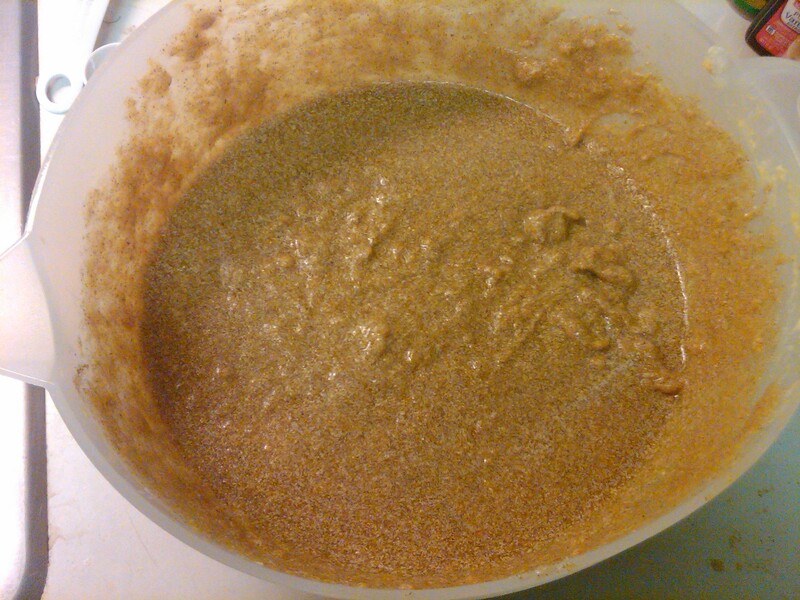 Now just pour that into your pie pan & put it in a preheated oven, on the center rack & bake! Its done once you can insert a knife into the center & it comes out cleanly. And voila!, you have a yummy pie. I made seven pies & the folks at work cleaned me out! A lot of folks had never had a sweet potato pie before but they loved it. Are you a baker? A fan of sweet potato pies? What’s special about your recipe?